My parcel from China had recently arrived at my doorstep. It’s my order of the Thunder God Vines Rheumatic Patches! Thunder God Vines are known by so many names: Tripterygium Wilfordii, ‘Walk Seven Steps and Die’, ‘Intestine-Breaking Plant’ and ‘Three Wing Nut or Three Parts Deadly and One Part Relief for Rheumatoid Arthritis Symptoms’. Thundergod vines may be a natural alternative remedy that may ease RA symptoms for sufferers out there. What is Thunder God Vines? Thunder God Vines have traditionally been used in TCM for many centuries for curing fever, chills, edema and carbuncle; but it was only quite recently (well, for quite a while actually) that I came to know about this TCM remedy through a piece of article that highlights the plant’s ability to cure cancer. Researchers at the University of Minnesota’s Masonic Cancer Centre found that compounds from this plant wiped out pancreatic tumours in mice, and showed no signs of tumours after 40 days or after discontinuing the treatment. 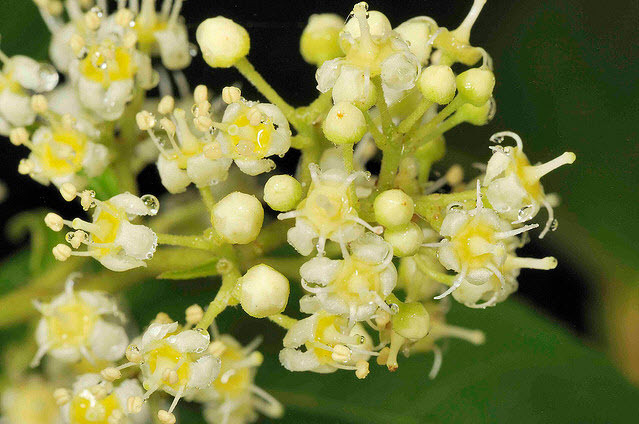 The natural compound, triptolide, found in Lei Gong Teng, has been shown in numerous studies to induce apoptosis, or cell death in cancerous cells. 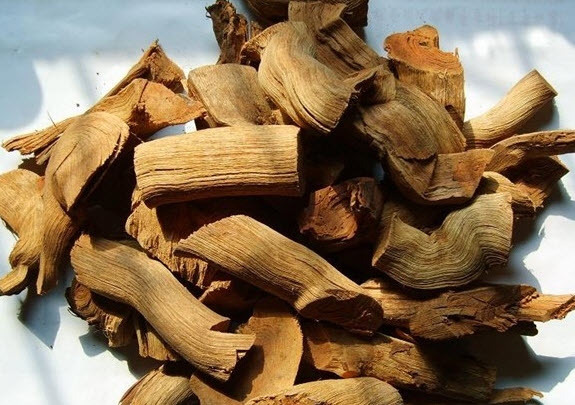 Well, further to my research, the extracts from the skinned root of the Thunder God Vines has actually been used in China for over 400 years for conditions involving inflammation or over-activity of the immune system. It is a known folk remedy for excessive menstrual periods as well as autoimmune diseases including RA, MS and Lupus. According to answers.com, during the 1980’s, there was a double clinical trial that was performed in China. Xue-Lian Tao was one of the researchers who was a former post-doctoral fellow at the University of Texas Southwestern Medical Branch (UTSMB). They studied over 2,000 patients who did not know if they received the extract or a placebo. 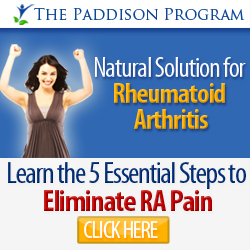 Patients did report that the remedy reduced the symptoms of RA. Xue-Lain Tao returned to the United States and continued his research. In the 1990’s the University of Texas Medical Brand (UTSMB) studied the plant’s effectiveness to treat symptoms of inflammatory conditions along with Peter Lipsky, M.D. who was the director of the Harold C. Simmons Arthritis Center at the University of Texas. They wanted to find out the exact part of the plant that appeared to ease the arthritis pain. 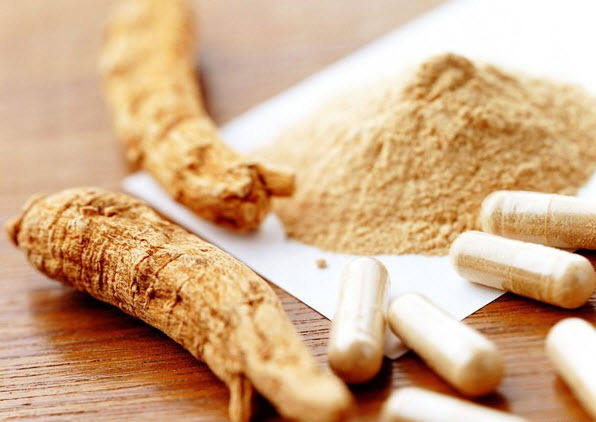 By 1998, the research team developed a root extract from the plant that could be studied for its effectiveness to provide relief of arthritis symptoms. They named the extract “Texas Ethyl Acetate (TEA)”. They applied to the United States Food and Drug Administration to have permission to test the extract on arthritis patients, which the FDA issued permission to the thunder god vine research using the root extract. Studies were done at UTSMB and the National Institute of Arthritis and Muscoskeletal and Skin Diseases (NIAMS). In 1999, Peter Lipsky, M.D. was named scientific director of National Institute of Arthritis and Muscoeskeletal and Skin Diseases (NIAMS). The NIAMS completed a 20-week study on 21 RA patients. They gave some patients a high dose of the extract, some a low dose of the extract, and some a placebo. After four weeks, those who received the high dosage of extract showed rapid improvement by 80%, those who received the low dosage showed an improvement by 40%, and there was no change in those who received the placebo. According to Dr. Peter Lipsky, the extract is very unique and is a particularly promising treatment for RA because it slows down the overactive immune system and reduces inflammation. In another Chinese research by the Ningxia Guyuan City People’s Hospital, the researchers conducted a clinical observation to evaluate the efficacy and safety of Lei Gong Teng tincture treatment for 86 RA patients, including including 19 males and 67 females, aged 18 to 68 years; including the duration of 6 months after the treatment. It was found that after six months of the tincture treatment, the number of joint pain, swollen joint count, tender joint count, duration of morning stiffness, 20m walking speed had significantly improved. 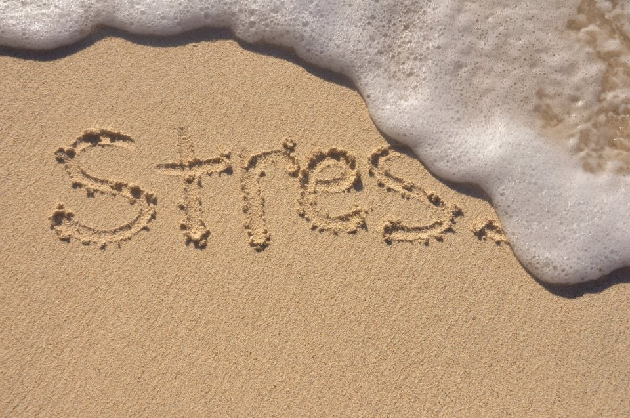 Based on the RF, ESR and CRP readings after treatment, it was found that Lei Gong Teng displayed potentials of controlling RA activities minus those corticosteroids side effects and there were no relapse of symptoms after the treatment was discontinued. It furthers that tests on liver function and kidney function were also conducted after these six months duration and there were no significant difference of these routine blood indicators when compared to the same markers prior to the treatment. This is suggestive of absence of toxicity in Tripterygium tincture daily consumption of 10mL on liver, kidney and blood. These are some very encouraging signs that Tripterygium may possibly prevent the development of RA disease. Laboratory findings suggest that thunder god vine may fight inflammation, suppress the immune system, and have anti-cancer effects. Although early evidence is promising, there have been few high-quality studies of thunder god vine in people. Results from a large study funded by the National Institute of Arthritis and Musculoskeletal and Skin Diseases (NIAMS), which compared an extract of thunder god vine root with a conventional medicine (sulfasalazine) for rheumatoid arthritis, found that participants’ symptoms (e.g., joint pain and swelling, inflammation) improved more significantly with thunder god vine than with sulfasalazine. A small study on thunder god vine applied to the skin found benefits for rheumatoid arthritis symptoms. There is not enough scientific evidence to assess thunder god vine’s use for any other health conditions. What about its Side Effects and Cautions to Take? A number of participants in the NIAMS study experienced gastrointestinal adverse effects such as diarrhea, indigestion, and nausea (The rate of adverse effects was similar in the thunder god vine and Sulfasalazine groups). 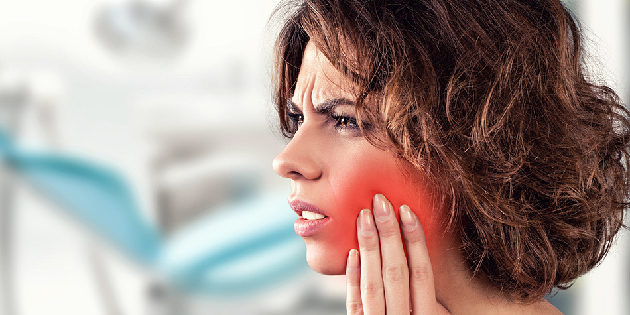 It can cause hair loss, headache, menstrual changes, and skin rashes. 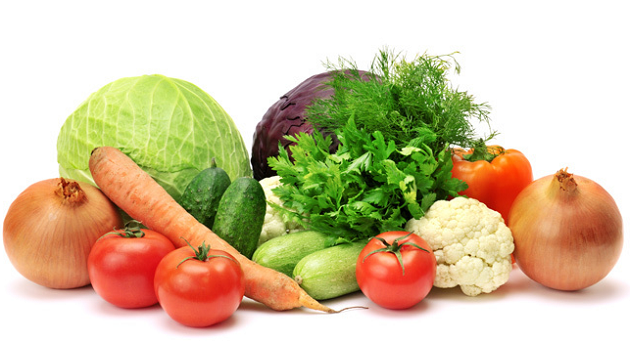 It may also decrease bone mineral density in women who take the herb for 5 years or longer. It is known to be associated with decreased male fertility by changing sperm. There are no consistent, high-quality Thunder God Vines products being manufactured in the United States. Preparations of Thunder God Vines made outside the United States (for example, in China) can be obtained, but it is not possible to verify whether they are safe and effective. Through numerous conversations with TCM practitioners in Asian region on Lei Gong Teng, there seem to be much approvals (through tens of thousands of cases, trials, research and observations) and reported better therapeutic effects of use of these herbs for treatment of RA, especially in China. 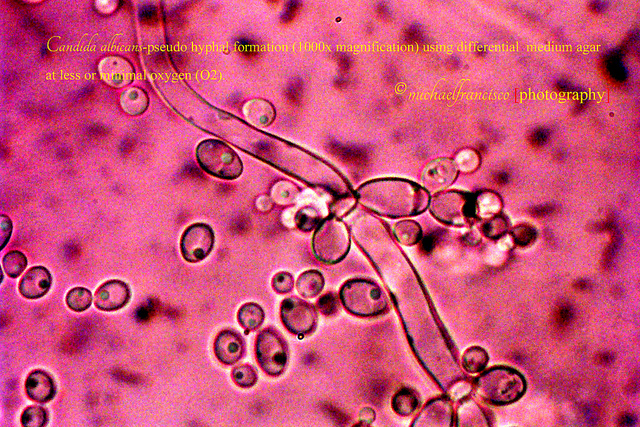 The Tripterygium is said to possess anti-inflammatory, analgesic and immuno-suppressive effects; hence its potency has said to be able to effect shortening of the duration of morning stiffness, joint swelling and pain relief, functional improvement, increased grip strength, slow down in sedimentation rate, decline in rheumatoid factor. Many RA patients can eventually recover, live a normal life and return to workforce once again. Understandably, the Thunder God Vines represent a promising anti-rheumatic drug. However, to date, a lack of more clinical studies on this herb does not provide adequate scientific evidence to confirm and prove that it is safe for consumption or for use in halting the progression of joint destruction in RA cases. Its full potential for complementary use in RA treatment is not yet fully understood as well. Technically speaking, there isn’t quite enough evidence to draw much conclusions. If further studies confirm these results in larger numbers of people, Thunder God Vine may provide an affordable natural treatment option for RA. So, with an open mind, let’s see what the future holds for this traditional Chinese herbal remedy. In the meantime, for myself, well, I’m still quite happy to just stick with an external application of the Thunder God Vines patches anyway. The patches (white followed by black) are simultaneously applied on any aching joints or muscles for symptomatic reliefs. So far, it has worked very well at removing dampness or cold or ‘Ying’ in various joints and a reduction of pain as well as improved muscle flexibility. Canter PH, Hyang SL, Ernst E. A systematic review of randomized clinical trials of Tripterygium wilfordii for rheumatoid arthritis. Phytomedicine. 2006;13(5):371–377. Carter BZ, Mark DH, Schober WD, et al. Triptolide induces caspase-dependent cell death mediated via the mitochondrial pathway in leukemic cells. Blood. 2006;108(2):630–637. Goldbach-Manksy R, Wilson M, Fleischmann R, et al. Comparison of Tripterygium wilfordii Hook F versus sulfasalazine in the treatment of rheumatoid arthritis: a randomized trial. Annals of Internal Medicine. 2009;151(4):229–240, W49–51. National Center for Complementary and Alternative Medicine. Rheumatoid Arthritis and CAM. National Center for Complementary and Alternative Medicine Web site. Accessed at nccam.nih.gov/health/RA/getthefacts.htm on June 3, 2010. National Institute of Arthritis and Musculoskeletal and Skin Diseases. Chinese Thunder God Vine Gives Relief from Rheumatoid Arthritis Symptoms. National Institute of Arthritis and Musculoskeletal and Skin Diseases Web site. Accessed at http://www.niams.nih.gov/News_and_Events/Spotlight_on_Research/2002/thunder.asp on June 3, 2010. Setty AR, Sigal LH. Herbal medications commonly used in the practice of rheumatology: mechanisms of action, efficacy, and side effects. Seminars in Arthritis and Rheumatism. 2005;34(6):773–784. Tao X, Younger J, Fan FZ, et al. Benefit of an extract of Tripterygium wilfordii Hook F in patients with rheumatoid arthritis: a double-blind, placebo-controlled study. Arthritis & Rheumatism. 2002;46(7):1735–1743. Thunder god vine. Natural Medicines Comprehensive Database Web site. Accessed at http://www.naturaldatabase.com on September 15, 2009. 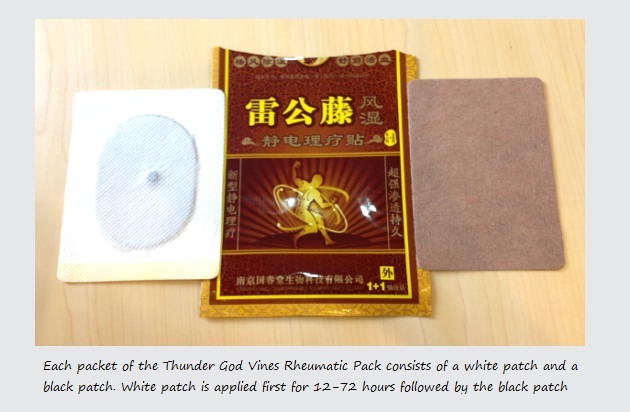 Where did you order the “Thunder God Vines Rheumatic Patches!” from? I mean yes you said China – but where in China? Do they ship overseas? How long have you been using it? I actually ordered it online from a popular Chinese online site (which is the Chinese version of Amazon.com). This is the link (http://s.taobao.com/search?q=%C0%D7%B9%AB%CC%D9&keyword=&commend=all&ssid=s5-e&search_type=item&atype=&tracelog=&sourceId=tb.index&rt=1362980053722&source=haiwaigou&pid=mm_14507416_2297358_8935934&unid=)Well, it’s all written in Chinese though. I’m using the forwarding shipping service to assist me with the purchase because I cannot purchase directly from that website since shipping at the moment is only limited to China, HK and Taiwan. If you check out the site, you’ll notice that many different shops are selling the same brand of rheumatic patches; and they are located in various different regions of China. Have been using it after my last pregnancy so, it’s been roughly a year now. It has a warming effect, which is known to remove/expel dampness or Ying from the body or joint. I quite like it because I find it really help with my pain and relieve morning stiffness. This has been one of the best, compared to all other brands of rheumatic patches I’d bought from a variety of TCM shops in various countries, except for another brand which is equally good but no longer in production. Where do you apply this patch to as it reads that it would be the affected area. For RA it’s pain all over the body hence just wondering which is the area you found most effective to be placed. I actually found another TCM oilment to work more effectively for me than this thunder god vines patches. I’d attached the picture of that oilment on the FB page. The two joints that affect me most are my wrists, so always, I’ll use them on the wrists, before sleep. Nowadays, ordering from Taobao is easy by going through online Taobao agent. There are many of them, most of them in Chinese (if you can read). Else, there are english site operated by Chinese which allow non-Chinese reading consumers to get hand on any stuffs from Taobao. If you’ve pain all over, I think oilment will work better than patches. I am so happy to read your article, My mother was so sick in arthritics joint pain, specially for every joint, i am also working here in china, if its helpful for me you can add me on my qq or Skype i could share the information and you can give me some suggestion best one i can buy from china. Just let you know, my wife current TCM medication has thunder god vine as one of the herbs in the formula. This herb is actually toxic in a sense and need to boil for more than 1 hr…. And only very few Chinese medicinal halls carry this herb…….in Malaysia . Yes, I understand that this herb needs to be handled with care. I once known an ex-cancer sufferer who planted this herb and extract its juice; and it took a lot of skills to carefully extract the juice from the plant SAFELY. I’m surprised that Malaysia actually carry it, because I traveled across HK looking for a medicinal hall carrying this but till today, I cannot find one. Just be caution that the herb that you buy does not contain heavy metal. Many herbs nowadays unfortunately contain heavy metal & it become equally difficult later to have to deal with liver being overburdened by the toxins. But anyway, thanks for your input. Hope your wife is getting better with the TCM herbal concoction. Keep in touch. Hi, i bought the same medicine as given in your blog.The problem is that everything is written in Chinese and i cant understand it. Can u please provide the pic that how the black patch looks like and how the white patch looks like, because on opening up the packet , there are 3 patches and i cant differentiate them.Also on one packet there is an animal made(looks like a ant eater) can u please provide the prescription how to use the medicine? Abhay, I’d long used up all my patches. If you need translation, you can provide me a clear scanned images of the instruction to my email at myradiary.diana@gmail.com and I’ll be happy to quickly translate for you.